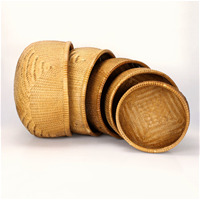 Baskets of Cambodia's Philosophy is to create high quality products that lend pride and self esteem to all of people involved. 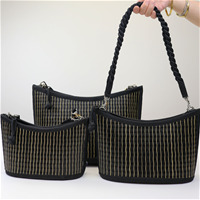 We understand that every basket and purse maker is an equally important part of the success of our business. Our mission is to be transparent with all our practices. 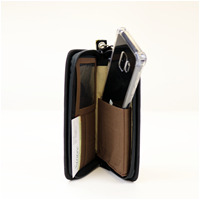 In addition to its unique design, it features a double YKK zipper that unzips down one side of the purse for easy access to the pocketed and lined interior. Bright and traditional colors alike look gorgeous in this shape, and it is available now in three sizes. company’s pursuit of designing world class purses even if takes literally the whole village to make one! Mini: 8.5" x 3.5" x 6"
Regular: 12" x 4" x 9"
Sunset Style: 16" X 3.5" X 15.5"
Colorful interiors include a private zippered pocket as well as pockets for cell phones and your smaller items. 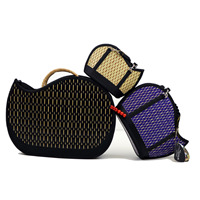 The Kim Ang is equally perfect for a night out or your daily needs, and is available in three sizes. Small: 9.5” x 3.5” x 6"
Medium: 10” x 3.5” x 6.5"
Large: 11” x 3.5” x 7"
The interior base is removable and the purse folds flat for easy travel or storage. 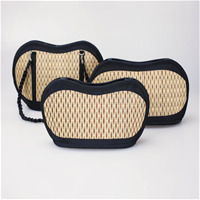 When the base is installed the purse sports a curvy, unique shape, includes an array of interior pockets, a strong built in handle, and a very spacious interior that is easily accessible. 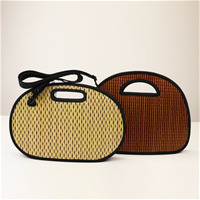 Not to worry - all Saraye purses have fully finished, bright interiors. Large - 16" X 12" X 6"
Medium - 15.25" X 10" X 5"
The interior on one side has inserts for credit card and on the other side a pocket for a cell phone. Small: 10.5” x 4” x 6.5"
Large: 15.5” X 6” X 11.5"
XS - 6" X 10.25"
S - 6.25" X 12"
M - 7' X 13.25"
L - 8" X 15"
XL - 9.25" X 16.25"